If you want to have a relationship, you should have a great and phenomenal one! On this planet, we spend a lot—A LOT—of time and energy on love and relationships. We have so many judgments, conclusions and points of view about what relationship is supposed to be. Almost all of us are searching for the perfect relationship — even if we pretend we are not. Unfortunately, most of us are having very little success in this area without ever acknowledging it. I’d like that to change. 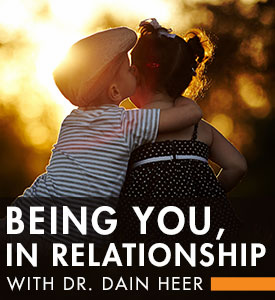 This special one day class with Dr. Dain Heer will give you some very different perspectives and dynamic tools that'll allow you begin to create a great relationship rather than trying to create the same old relationship you’ve created in the past. If you want to have a relationship, you should have a great and phenomenal one! Why settle for someone who is going to fulfill some strange need to fit with the rest of the limited world other people find so valuable? Why settle for something that doesn’t truly make your heart sing? Go for what you know that should be possible, and create it! It is possible! What if we could change the whole paradigm of relationship?! What if we could change it to something that really works for all of us? What if it no longer had to be about control and jealousy and envy and rightness and wrongness and fitting in with everyone else? If I were in total allowance, where everything is just an interesting point of view, what choices would I have available today in my relationship? How much more vulnerable can I be with myself and my partner today, and what would it take for that to show up now? What would total gratitude, for myself and my partner, every moment of every day, look like, feel like, taste like, and be like in my life and in my relationship? And what would it take for that to start today? What if it relationship could be about the gift we can be to—and for—each other? The tools are available now… Are you ready?That is what this class is about!